Here are a few great tips we saw at familyhandyman.com for low maintenance landscape ideas that will work great for garden planters. 1. Instead of throwing away empty laundry detergent containers, rinse them out thoroughly and then recycle them for watering your potted planters. Drill 1/8" holes in the top of the cap, and a 1/2" hole just above the handle to relieve pressure so the water flows freely. Easy to make and handy to use, this is a great tip for many reasons. We love the idea of recycling the container and the potted plants will love the added attention and water! 2. Use ice to prevent fast draining. 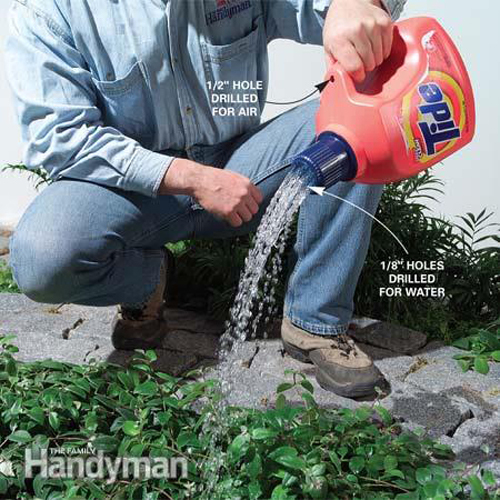 Tired of water draining too quickly through your hanging planters? 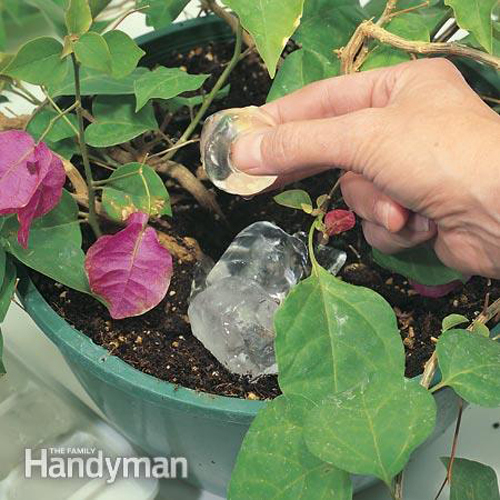 Try this ice cube trick. They will melt slowly enough so plants can absorb as much water as they need. Perfect tip for hot summers like here in Arizona. Hanging pots are such a lovely addition to any patio or porch that you need to take the time to treat them right. This ice cube trick is the perfect way! Well these are just a few tips for your potted containers, and each is really great. Give them a try and share with us how they work! 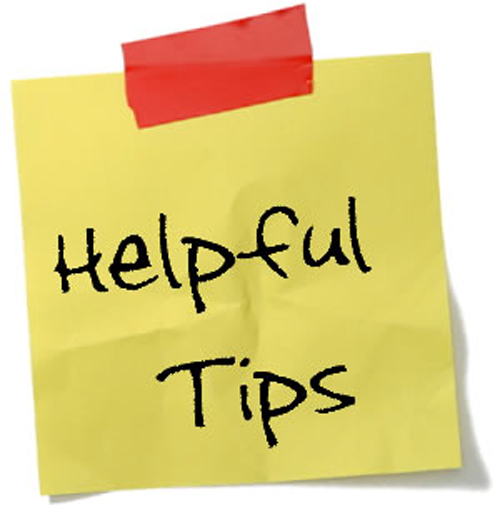 Read more.....Time saving garden tips.